New Acropolis Mumbai, hosted Chintan Upadhyay, an exponent of Dhrupad at a recital attended by over 60 guests, titled “An Evening of Dhrupad, The Search Within.” Chintanji was accompanied by his wife Apeksha on the Tanpura, and Pratap Awad on the Pakhawaj. 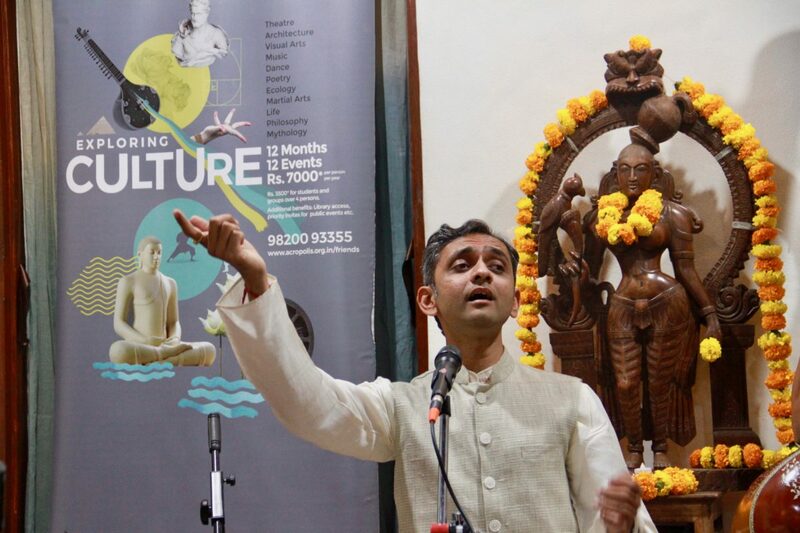 Derived from the Sanskrit word Dhruv (immovable) and Pad (verse), Dhrupad that means “pillar”. 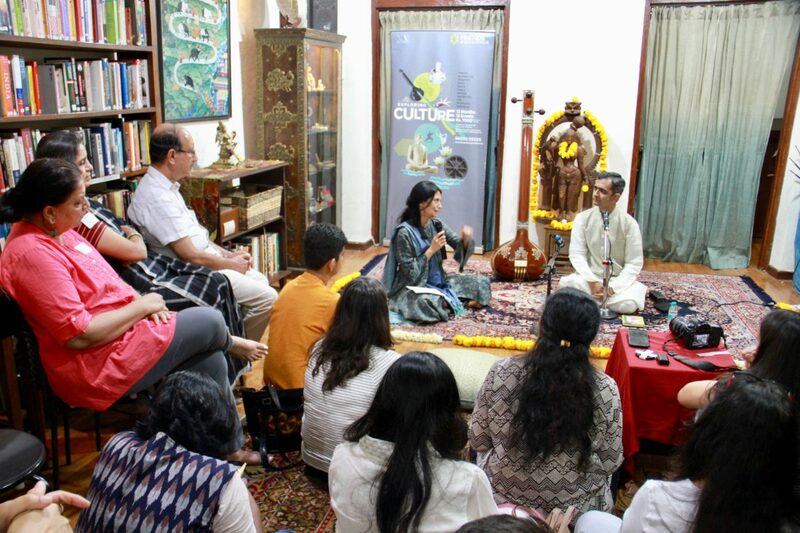 Chintanji explained that Dhrupad was not originally meant for entertainment, but was sung at the ancient temples of India.